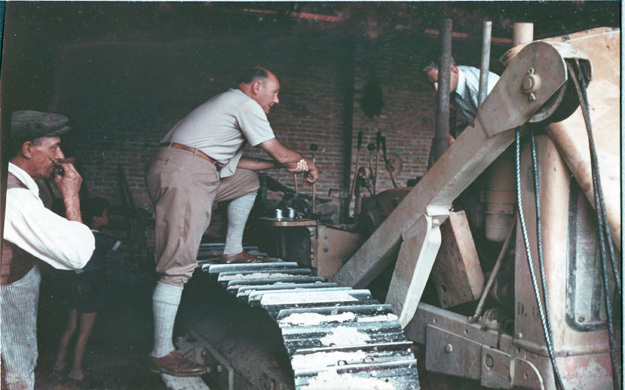 Antonio Origo and two of his employees, trying to fix a tractor. 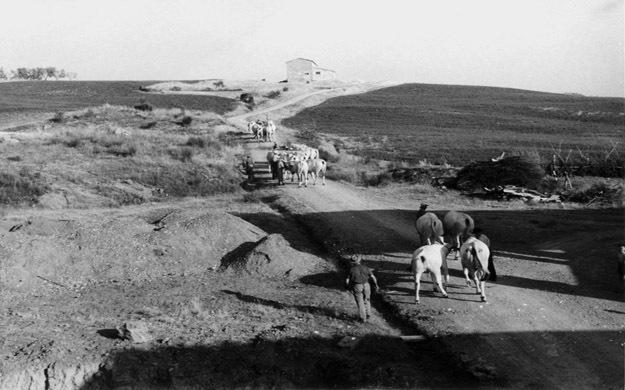 Antiquated farming practices were the rule in the Val d’Orcia. 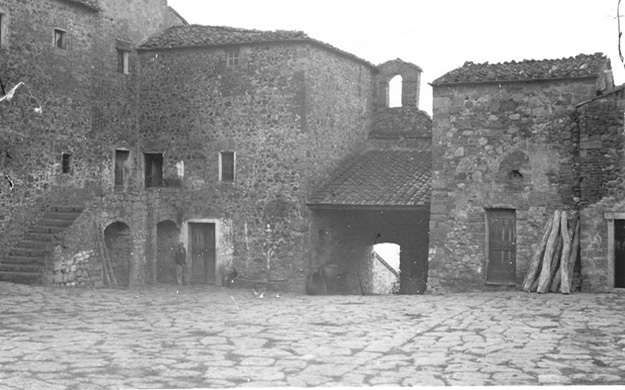 Chiarentana, before being refurbished by the Origos. Come on, kids, you’re going to be late for school once again! In my last post, I undertook to tell you the story – well, to outline the story, I should say – of the Origo family. A family who has played a key part in my life, as I said. So here is, as promised, the continuation of this personal account. Next week, we shall have the concluding episode.Soon after buying La Foce, a decrepit 3000-hectare (7000 acre) estate, Iris and Antonio Origo set about restoring its whole infrastructure. 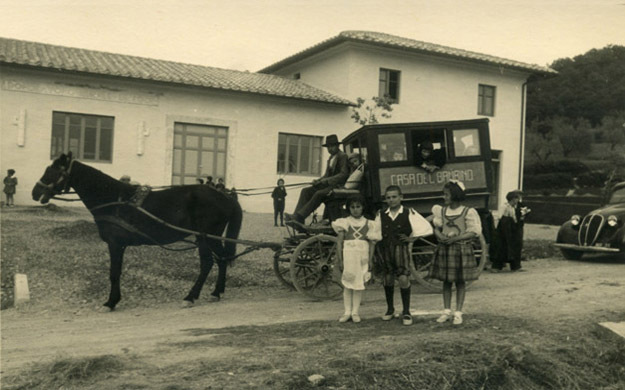 They refurbished the main villa, renovated or even rebuilt the farmhouses spread over the vast property (eventually more than 50 in all), and created a school and a dispensary – the latter named after Gianni, the Origo’s first-born, who had died of meningitis at the age of seven. They also implemented progressive social ideas as well as innovative farming methods and wise agricultural practices. On the eve of Italy’s entry into the war by the side of Nazi Germany, Iris was heavily pregnant with Benedetta, her first daughter, and torn in her heart of hearts by conflicting loyalties. She was of Anglo-Gaelic descent, and had been nurtured by wealth, privilege, culture and aristocracy in Ireland and North America. However, she had also spent much of her younger years in Italy and was married to an Italian marquis. Where did she belong? This question kept nagging her. Never meant for publication, Iris’s notes were merely observations of daily occurrences within her personal sphere; a way for her to keep her relative sanity amidst the surrounding chaos. The terse, frugal prose of the diary reflected the immediacy of the thoughts and events she described. She wrote when she could, often deep in the night. She also had to keep her diary well hidden during the day, knowing that she would most certainly be shot or sent to a concentration camp if she were to be caught at her scribbles. The final episode next week… Take care until then!